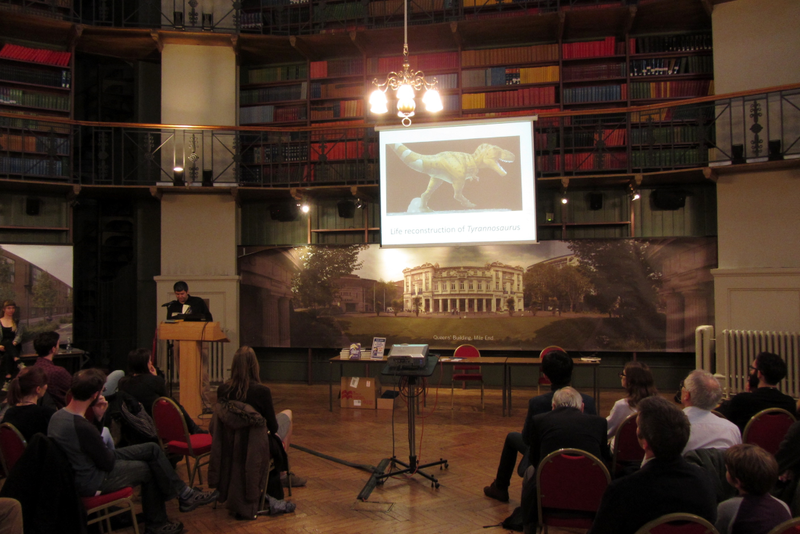 Friday the 22nd April saw the official launch of Dr. David Hone’s first book, The Tyrannosaur Chronicles (Bloomsbury Sigma), at Queen Mary University London, in the rather lovely book-lined Octagon of Queen’s Building -- which, if the British Museum’s Enlightenment Gallery should fail to become my library, would serve pretty well in its stead. Dr. Dave has written about the book’s publication on his blog, and it has already gained a deservedly positive reception, not least among which is Tom Holland’s glowing review on New Statesman. And we at Love in the time of Chasmosaurs are very much hoping to post one or two of our own in due course. 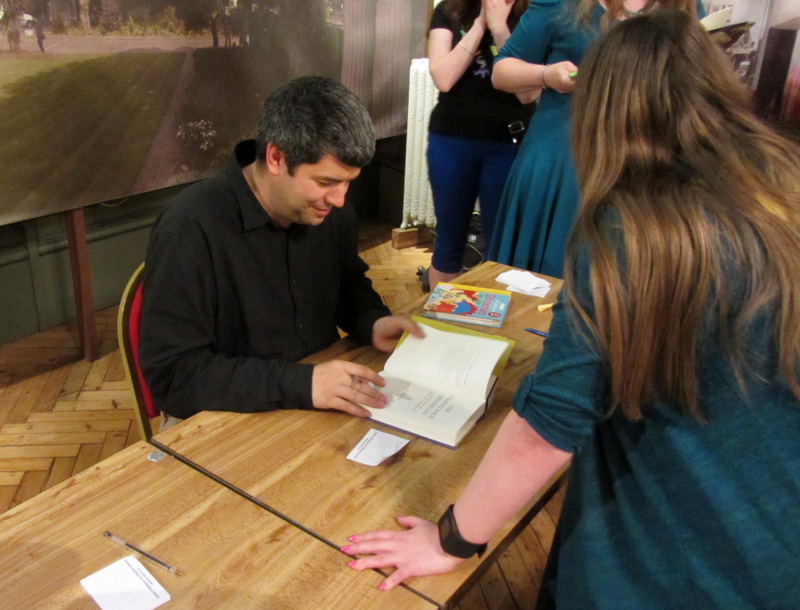 The last of the formalities was the purchasing and signing of copies of the book (all which were brought to the launch sold out), whilst guests also had time to ogle at, photograph, and even handle the various casts that were on display. It was a great pity that Marc couldn’t make it this time, or without question there would have been some choice goofy pictures with the fantastic skull, and you would have had a superior post than this besides (in more ways than one). Never mind. 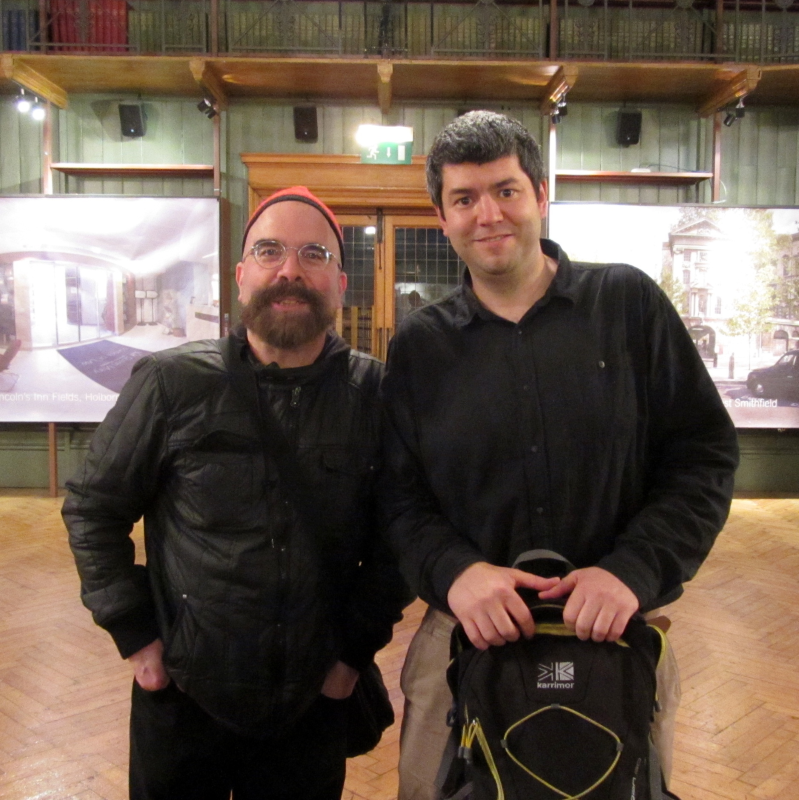 I did at any rate get a picture of another star who also happened to be there. The evening itself was rounded off with the hosts and guests all trooping off to a nearby pub for a celebratory drink. Marc was more than especially missed at this point. On that note, he and I have been chatting over a little competition which we’re hoping to launch very shortly, with copies of this very book as prizes, hurrah! Watch this space, as they say. As an addendum to my previous post, it's worth mentioning that there's some dinosaur material on permanent display at the Horniman...just not very much. Perhaps the most noteworthy dinosaur display consists of a series of very dated scale models. They're most definitely of the pre-Renaissance, cold-blooded old school, but very charming with it. Here's a selection. While everyone knows the few 'big name' museums in London (the NHM among them), the city also boasts a surprisingly large number of more low-key institutions, some of which are well worth seeking out for the nuttier natural history enthusiast. One of these would be the Horniman Museum, located a stone's throw from Forest Hill station in south-east London. 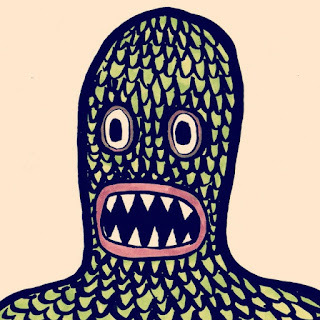 Currently the Horniman is home to the travelling exhibition 'Dinosaurs: Monster Families', which is naturally what drew Niroot and I in (for the second and first visit, respectively). Here's the skinny, y'all. Anyway, I’ve pretty much always been a fossil nerd. As kids my twin sister and I would set up our own excavations. We’d dig up things we thought were dinosaur fossils with tools we found in our parents garage. Nowadays my love of paleontology is not restricted to dinosaurs. In South Africa we have a diverse range of geological formations that have preserved many different creatures from all across the expanse of time. One such group of creatures is a group that is very close to my heart, a group of animals that is not very well known: Therapsids. Therapsids evolved in the middle Permian, around 260 million years ago. Therapsid fossils are not unique to South Africa. There are rich finds of these animals in Russia, though South Africa is where these Therapsids were first discovered. The Therapsids belong to a larger group of animals called the Synapsids (of which mammals are the only living examples) and a particularly well known Synapsid from North America is Dimetrodon. But Dimetrodon is a dinosaur right? Nope, wrong. 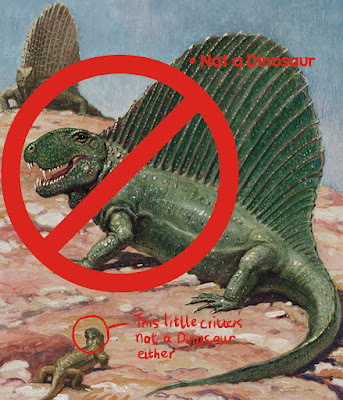 But then why have I been finding Dimetrodon figurines alongside T.rex since childhood? Because Therapsids are so poorly understood. Also, let’s admit they do look pretty wild with that giant, colorful fan stuck to their backs. But Dimetrodon is not a dinosaur. So what was it, a reptile? Let’s return to the definition of a Synapsid. Synapsid is an umbrella term referring to a lineage of animals both living and extinct that evolved from Amniotes, early tetrapods that were terrestrial and bred on land. Reptiles and Synapsids both have this common ancestor; however, they were two different lines of descent and this cannot be stressed enough. Lizards, snakes, crocodiles, dinosaurs and the avian dinosaurs, birds, are all groups of animals we’re familiar with tracing their ancestry back to Reptiles. But what are Synapsids? While early ones like Dimetrodon superficially resembled reptiles and dinosaurs, they were not reptiles. 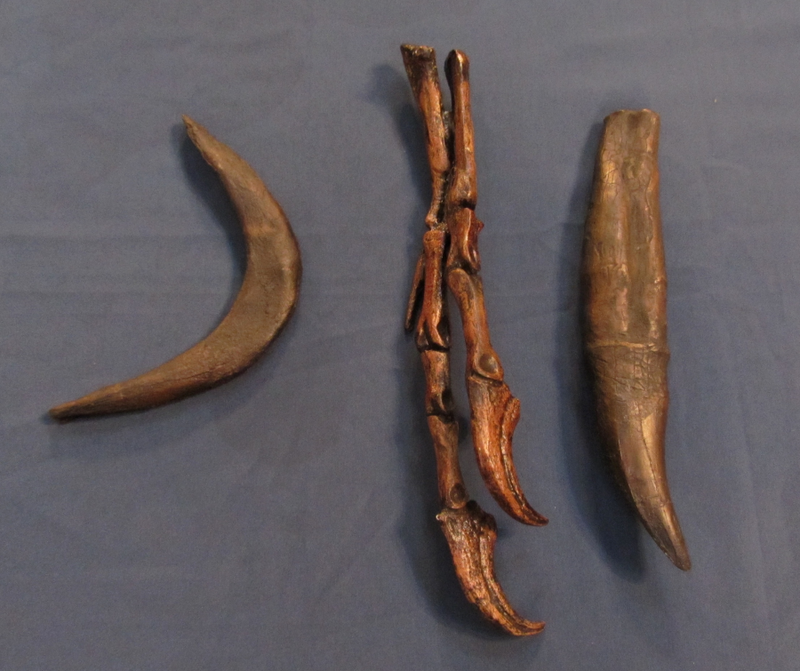 These animals were the ancient relatives and ancestors of mammals, including Humans. In South Africa, a group of Synapsids named the Therapsids reigned as the dominant fauna for over 40 Million years, and included a bizarre group of animals that could have come straight out of a science-fiction novel. Gorgonospians and Therocephalians had long sabre-like canines, similar to the sabre-toothed cats that evolved much later and prowled the primeval flood plains of the Great Karoo, at a time when South America, Africa, India, Antarctica, and Australia were joined forming a single giant southern continent called Gondwana. Dog to cow-sized dicynodonts were tusk-bearing herbivores, who fed using a tortoise like beak. They were also the main prey of the gorgonopsians and therocephalians. Smaller meerkat-sized animals called Cynodonts included the ancestors of mammals and may even have had whiskers. However, life on Earth never came closer to complete annihilation than it did at the end of the Permian period 252 million years ago, when 90% of all life (including the therapsids) was eradicated due to a run-away greenhouse warming event at that time. 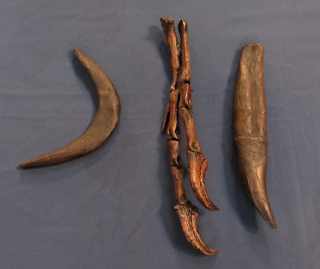 Fossil remains of these animals are found in the Karoo Basin today, and tell their story to Palaeontologists. A few of the small, burrowing therapsids species managed to survive and their descendants, the mammals, eked out a living through the Mesozoic (perhaps dodging the gargantuan steps of sauropods and T. rex!) The amazing part of this story is that the only group of Synapsids alive today are mammals, and us. Perhaps if our minute burrowing ancestors were not so resourceful we would not be here. Now here's another properly old one (at long last) - a compendium of extinct animal 'stamps' from the Cold War world of 1954. Why put 'stamps' in fright quotes? Well, they're more like stickers, given that you wouldn't be able to send an angry letter to the palaeontological establishment of the day with any of them. This would, therefore, be a sticker album. 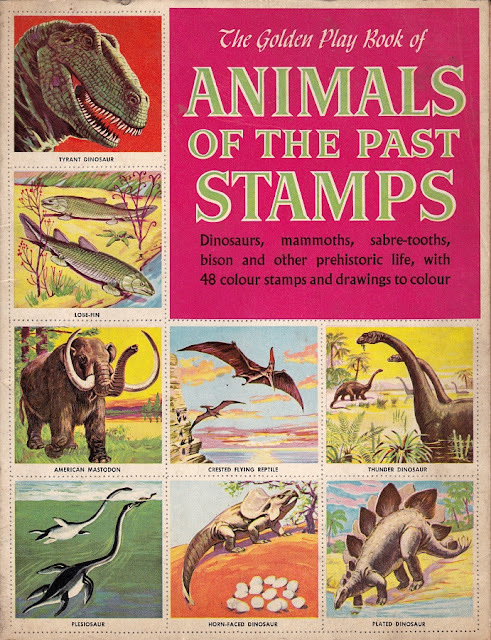 But 'tis mere semantics - we're here to see a variety of prehistoric creatures presented in sub-technicolour retro stylee, and The Golden Play Book of Animals of the Past Stamps doesn't disappoint. Hey, all! As a full time freelancer, I don't have much time to write for you anymore, but since my attempts to get this piece published have fallen through (twice) I thought I'd go ahead and find a home for it here. Enjoy! First among his roles, he was an adventurer. He was a dashing Transylvanian baron, a openly queer man who studied the life habits of dinosaurs in ways that nobody before him had. He schemed for the crown of Albania, worked as a spy for the empire of Austria-Hungary, and left behind a wealth of scientific ideas and theories decades ahead of his time. And then, abruptly, he was forgotten. Few outside of the study of paleontology now remember his name. The history of science is filled with strange lives and buried stories. 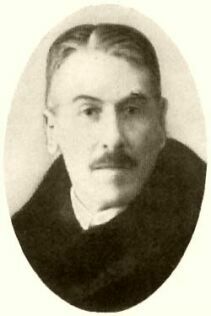 But few lives were stranger than that of Franz Nopcsa von Felső-Szilvás: the flamboyant lord of dinosaurs, and (appropriately for a man who bore a startling resemblance to Freddy Mercury) perhaps the most interesting man ever to turn his attention to rock. A few programming notes first before the roundup. You may recall that at the end of last year, I hinted at a move to WordPress. That's still in the planning stages, and I would love to make it happen. It would mean less time zapping spammers, better commenting functionality, and I'd have more control over the site design. We do need a bit of help to make that a reality. So if you direct your attention to the sidebar, you'll see a tip jar, for those of you who would like to support us. Besides offsetting future site fees, it will help us purchase books and other dinosaur media to feature on the blog. Thanks for all of the support over the years! 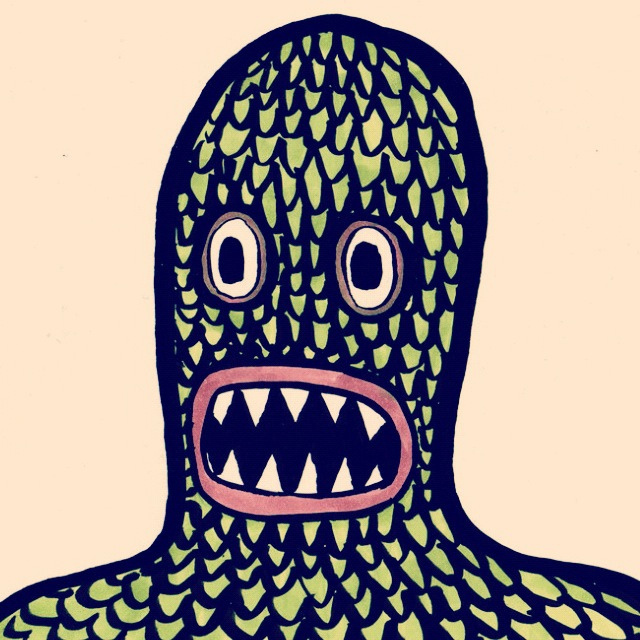 Tully Monster is (drumroll) a stem-lamprey? Freaky. More from NatGeo News, Ed Yong for The Atlantic, Discovery News, SciAm, and The Chicago Tribune. Those of us who jumped on Twitter to follow the recent Paleofest at the Burpee Museum of Natural History in Rockford, IL were teased with tweets about a stunning new paper by a team led by Mary Schweitzer. Well, it's out now. The new study re-examines T. rex bone tissue that was hypothesized to be medullary bone - a type of bone tissue formed quickly to provided needed nutrients for pregnant females - in 2005. Looking closer at the tissue's chemical composition, the team has concluded that it contains too many chemical signatures of medullary bone to be anything else. MOR 1125, AKA B. rex, was pregnant. More from Brian Switek at Laelaps, Laura Geggel at LiveScience, and Jennifer Viegas at Discovery News. 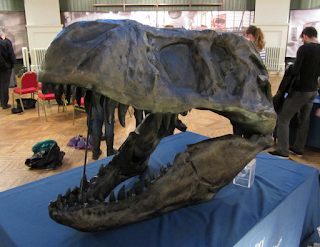 A new early tyrannosaur is on the scene. Described by Steve Brusatte et al, Timurlengia euotica was "a horse-sized hunter with a big brain and keen hearing that would put us to shame." Read more at Sci-News and NPR. 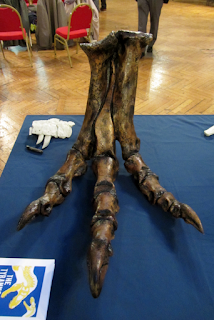 Denver Fowler shared an image of a braincase discovered at a dig at the American Prairie Reserve that looks similar, prompting him to wonder if he's also found a juvenile tyrannosaur. It should be noted that Dave Hone, whose new book The Tyrannosaur Chronicles comes out this month, covered both of these tyrant stories at the Lost Worlds Revisited blog. 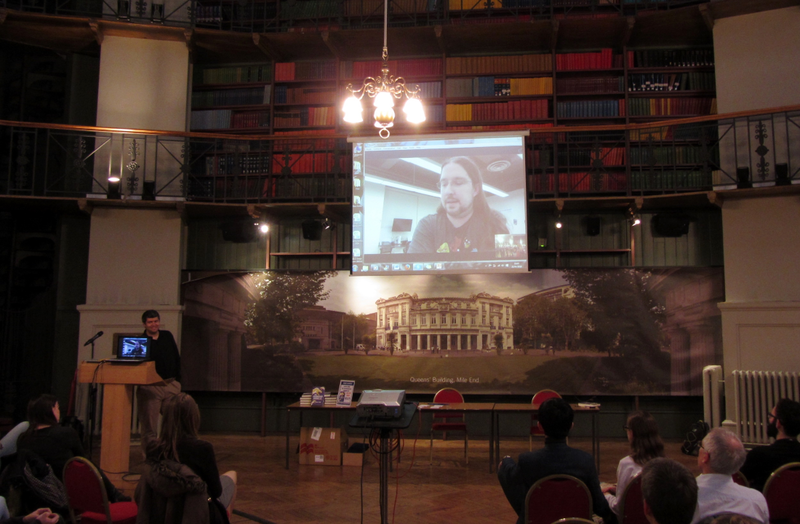 Speaking of WordPress, Liz Martin-Silverstone has headed there herself! Our own Asher Elbein has been published by The Atlantic again. 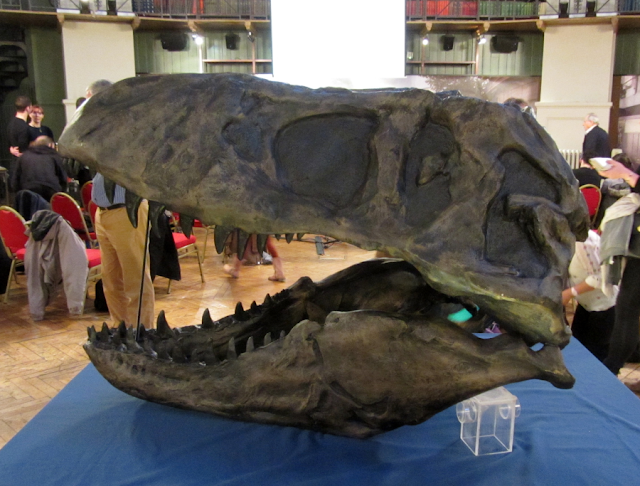 Check out his great Spinosaurus article! Mark Witton has updated his overhead-view illustration of a fallen azhdarchid and the varied scavengers it attracts. It's beautiful. And it comes with a terrific post about azhdarchid paleoecology. Jacquelyn Gill recently wrote about the challenges and rewards of thinking, and teaching about, the concept of deep time. Shaena Montanari, currently the Newton International Fellow at the University of Edinburgh, was interviewed about her life as a paleontologist by The Sun. At FiveThirtyEight, Maggie Koerth-Baker wrote about the travails of dinosaur taxonomy, including a statistical analysis of the researchers who have had the most newly-named taxa stick. 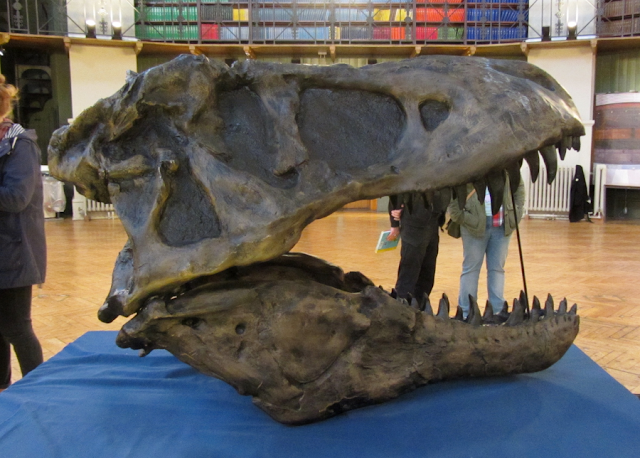 The website ScienceGrrl recently profiled Franzi Sattler, who is currently working on a Masters thesis about a tyrannosaur nicknamed Tristan. Great, important read: conservation biologist Asia Murphy has written about the difficulties of being a black field researcher in predominantly white rural areas in the U.S.
At Prehistoric Beast of the Week, Chris interviewed paleontologist Carl Mehling. At Extinct, the philosophy of paleontology blog, Leonard Finkelman wrote about endlings, the last surviving members of species. New or new-to-me creators taking to Patreon: Rebecca "Palaeoplushies" Groom, A Dinosaur A Day, and Brian Switek. Regarding Brian: He announced the sad news that Laelaps has been discontinued by National Geographic after the end of April. The people wept. But then, he then announced that a new home, yet to be revealed, has been found. The people got all jubilant! Scales can be a real problem. 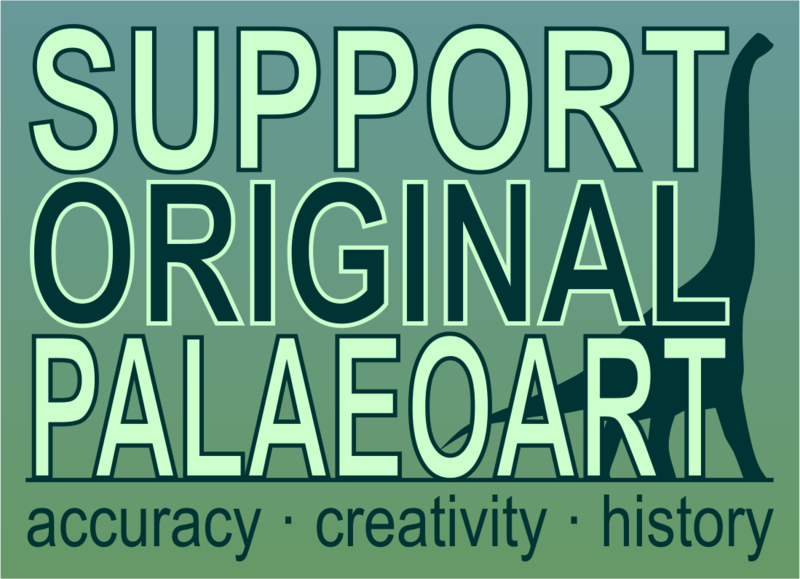 Sometimes, I see a new piece of paleoart pop up and it seems that the artist got so lost in drawing every. single. scale. that they've forgotten about more important aspects of the composition. 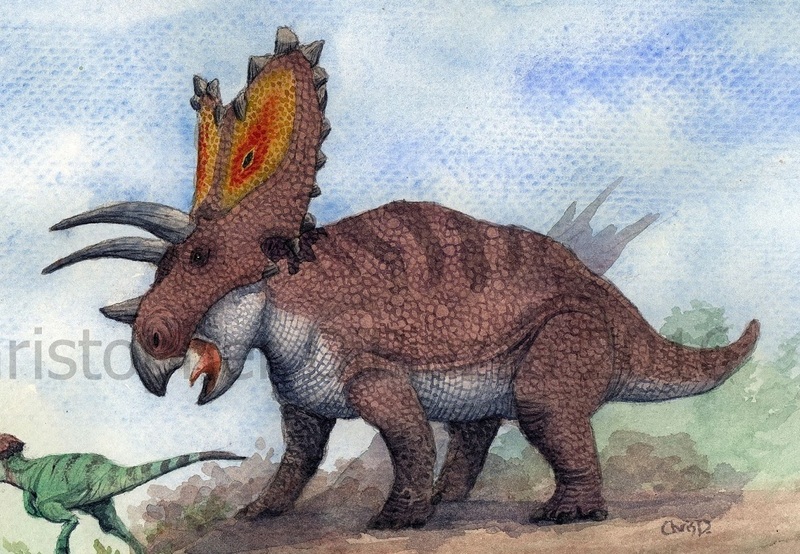 I like what Chris DiPiazza has done here with his recent Pentaceratops piece, though. The scales have been given plenty of love, but they don't distract from the rest of the ornery beast (who seems to have struck the Fear of God into a pachycephalosaur. Additionally, the texture of the watercolor paper compliments the pattern of scales. Awesome stuff as usual from Mr. DiPiazza.